Challah! 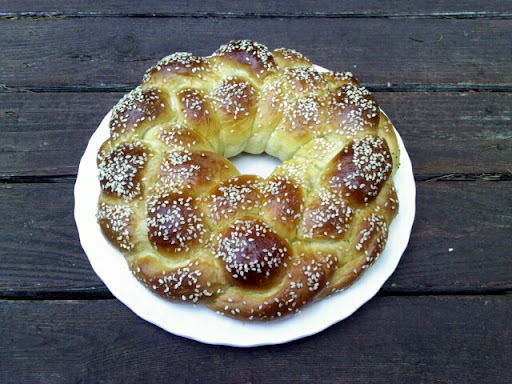 The traditional Jewish bread that is rich with egg, sweet, and so delicious! 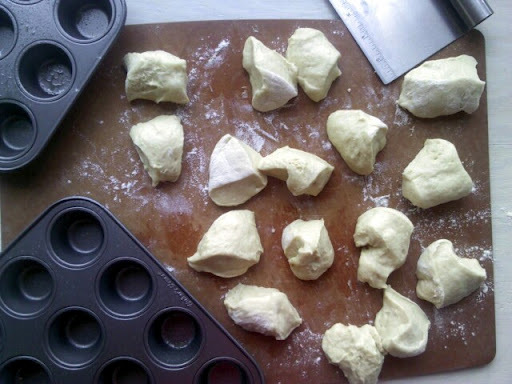 I have made attempts to making challah before (Challah Apple Rolls and Rosh Hashannah Rolls), but this time around, instead of making the dough, I was lucky enough to get a batch of freshly made dough and play! While working with the dough, I also learned what the right texture of the dough feels like – it’s ok for it to be on the wet site and a bit sticky. Resist adding too much flour, or your challah will be heavy and tough. I was hoping to make a six-braid challah, but failed miserably. Instead, I made a Four-Braid Round Challah loaf with sesame seeds, and a few other creations. Read up! 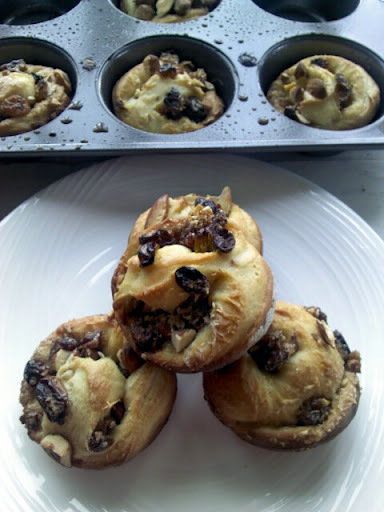 Roll individual pieces of challah dough into ropes, knot them and place in a lightly greased mini muffin tin. 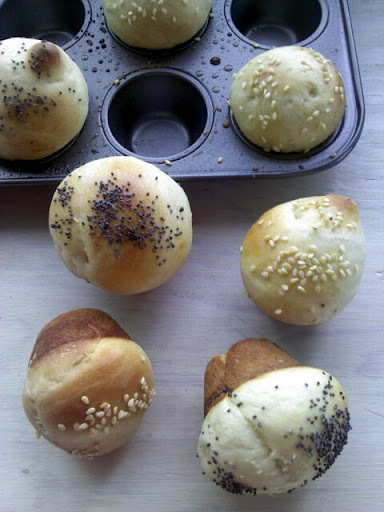 Proof the knots for 30 minutes, brush with half and half (or an egg wash) and sprinkle with sesame seeds and poppy seeds. 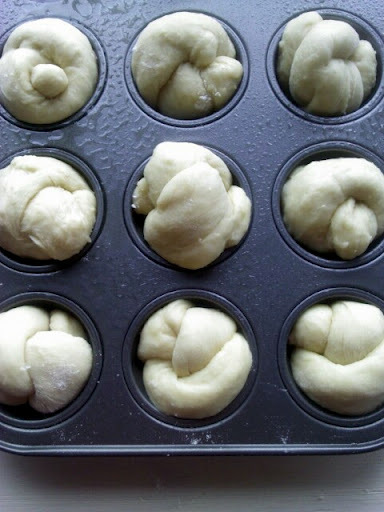 Bake the knots in the 350 degree preheated oven for about 20 minutes, until they are golden brown. 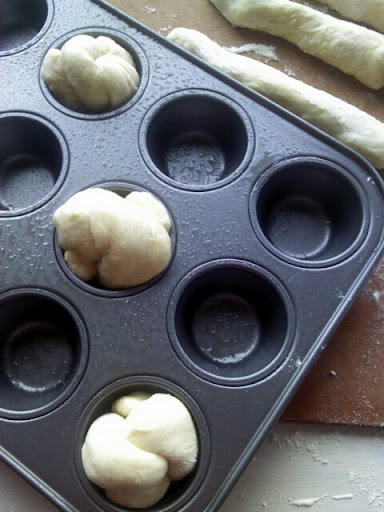 As you can tell, during the baking, the knots turned into round mini rolls, but they were still delicious! Pretty, isn’t it? 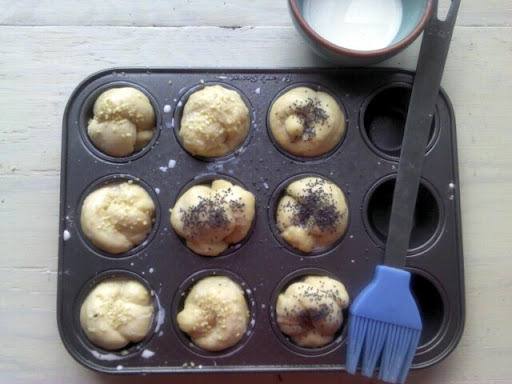 What do you make with your challah dough? I've never seen a challah in that shape before. It's beautiful!